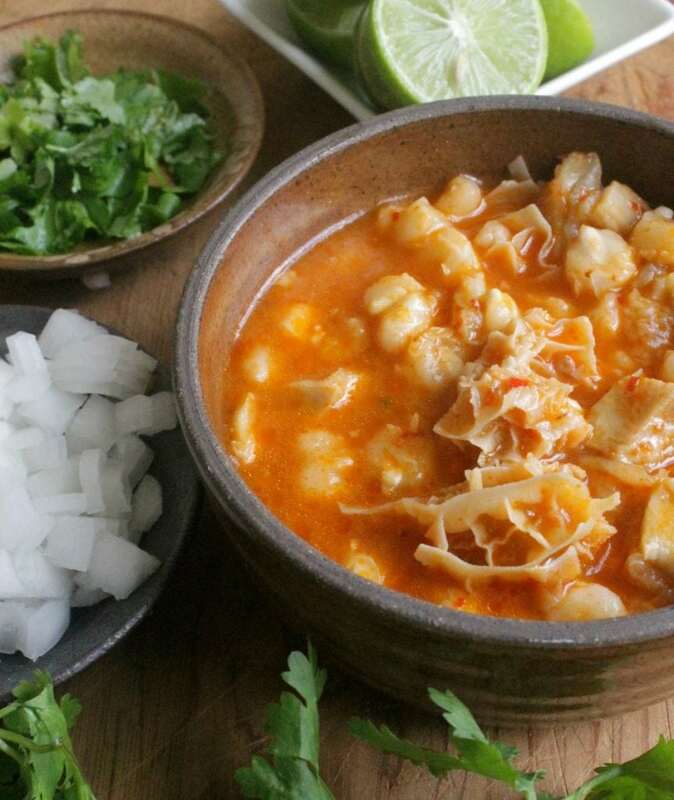 It doesn’t get more traditional than Mexican Menudo, or Pancita. Delicious and comforting with each spoonful. Hope you enjoy! 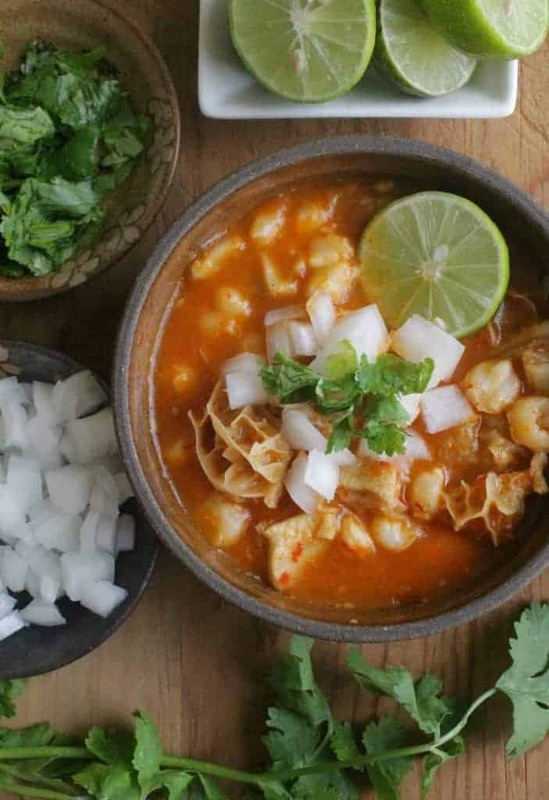 Menudo, or Pancita, is one of the most classic and most authentic Mexican recipes. Delicious and comforting with each spoonful. Hope you enjoy! Disclosure: This post is sponsored by Rumba Meats. As always, all opinions are mine and mine alone. Sundays in Mexico are the best. In Durango, the entire city would practically shut down. Even the kids would go inside to spend time with their families and less time outside playing fútbol. Maybe a walk later around the Plaza de Armas for a paleta or a visit to a relative who might or might not know that we were coming over (“Surprise!”). 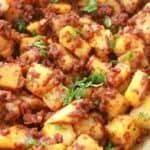 Sunday morning always started the same way – with a big pot of Menudo, or Pancita. 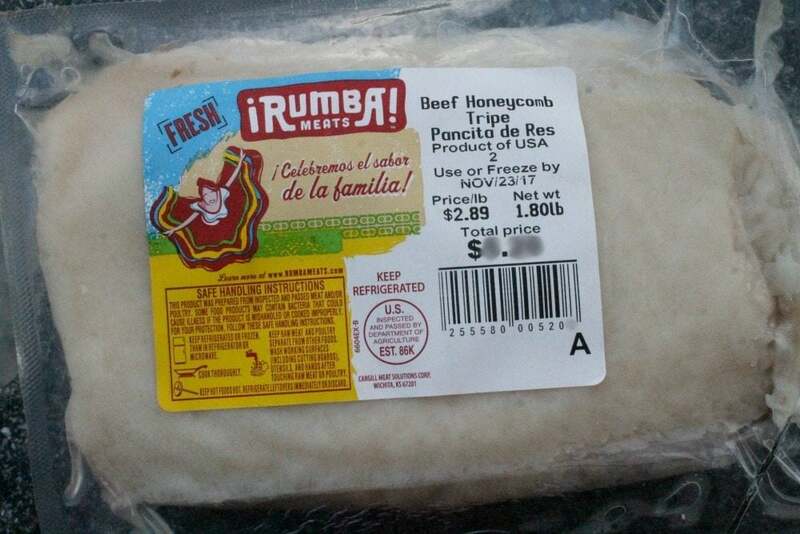 This is Rumba Meats beef honeycomb tripe, or Pancita de Res. I got it at ALDI, but you can find it already chopped up at most Mexican grocery stores. 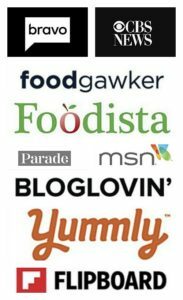 If you live no where close to a Mexican market, try looking online. There are plenty of places that will ship this cut of meat to you. There really wasn’t much excess fat to remove. Love that! It also comes in a vacuum-sealed package which allows the meat to stay fresher, longer. You can find Rumba Meats at a store near you. Chop it up into 2-inch cubes. I like to cut them smaller because of my son. The redhead is not a fan of big pieces. I have seen people chop it up in larger pieces. It is really up to you and what your family will eat. Remember that you are using a spoon to eat the Menudo (Pancita). So, the pieces will have to fit the spoon. 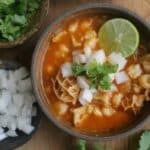 Menudo, or Pancita, has a distinct smell, and there are several ways to minimize the smell. Here’s what I do. Put the tripe in a large stockpot. Add juice of 2 limes. Let sit for at least 1 to 1 1/2 hour. Discard water. Continue with recipe. 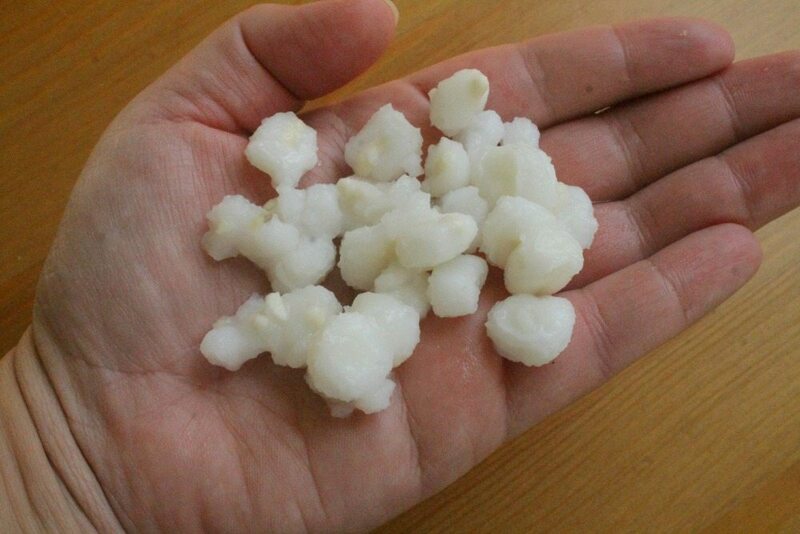 Add 2 tablespoons distilled white vinegar and 2 garlic cloves. Let sit for at least 30 minutes. Discard water. Continue with recipe. If you are using the same pot as when you were trying to take the smell away, you will need to wash the pot. The odor always seems to linger. Then place the honeycomb tripe inside the pot and cover with a lot of water. 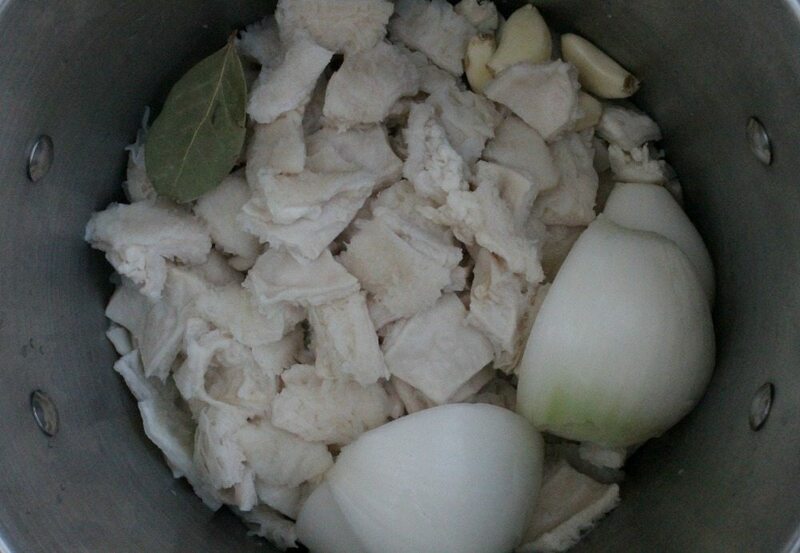 For this Menudo recipe, I add a whole onion, 5 garlic cloves, and 2 bay leaves. I leave them on the edges for me to find them easily at the end. Cover and let simmer for 2 ½ hours. In some parts of Mexico, the recipe for Menudo, or Pancita, would stop right here. 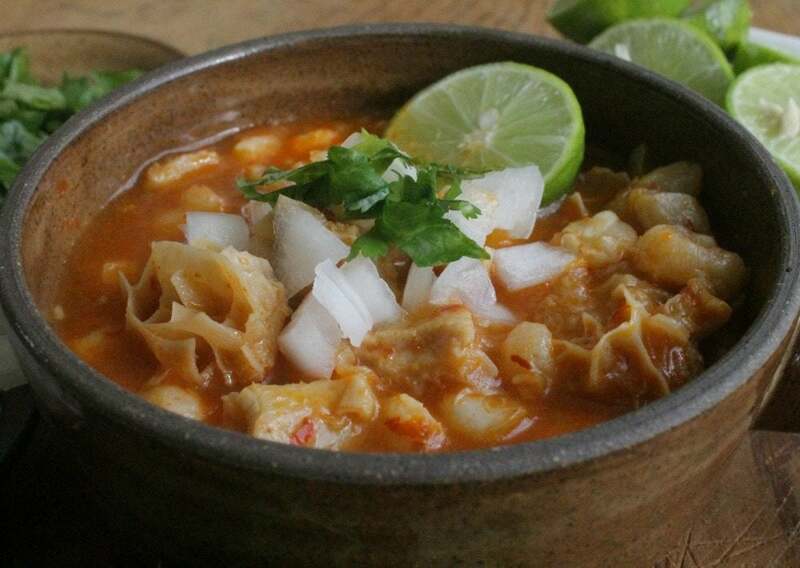 This Menudo recipe is northern style. 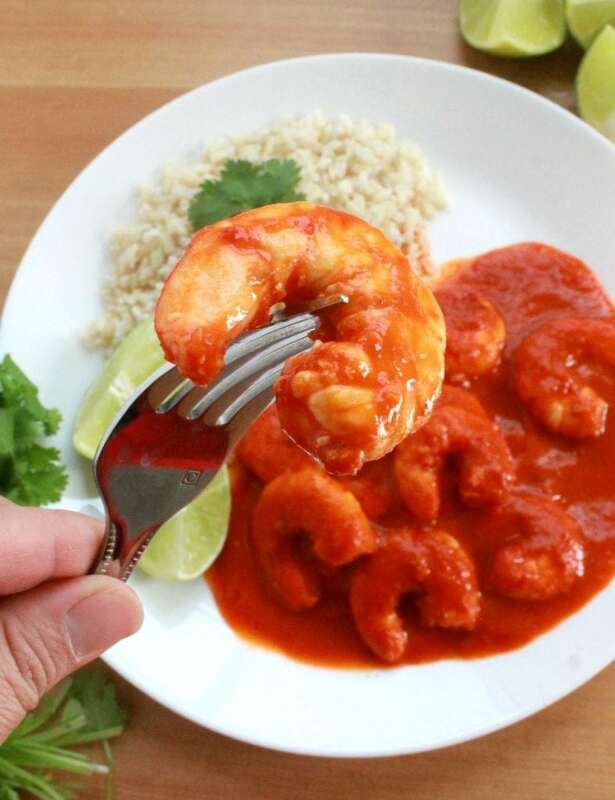 In Durango and several northern states, we also add hominy and a red chile sauce. 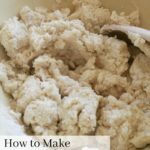 After 2 ½ hours of cooking the honeycomb tripe, add the rinsed hominy and cook for another ½ hour. 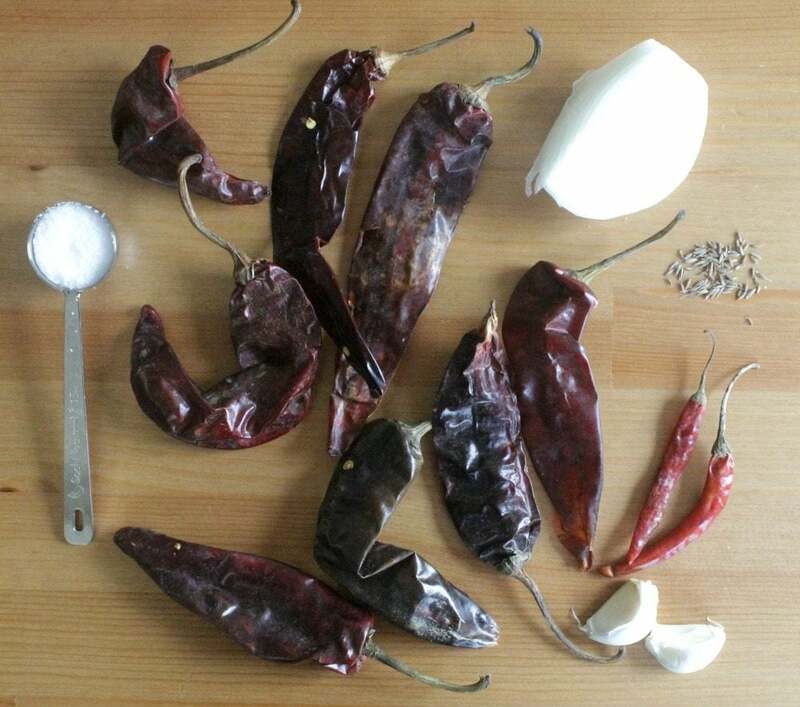 In the meantime, make the red chile sauce. We do that with lots of guajillo chile and chile de árbol. The sauce is not spicy. Remember that there is a lot of water in the big pot. The chiles will add a robust and deep flavor to our soup. Take out the whole onion, garlic, bay leaves, then add the red sauce to the pot and cook for another ½ hour. How Long Will Menudo last? In the fridge, menudo will last 3-4 days. It actually tastes better when it’s reheated. In the freezer, menudo will last 3-4 months. It will have lost some of its freshness and texture, but the taste will still be there. 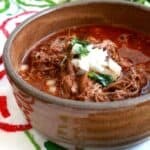 Some people will serve dried chile de árbol, crush it open slightly, and put it in their soup bowls for some extra heat. 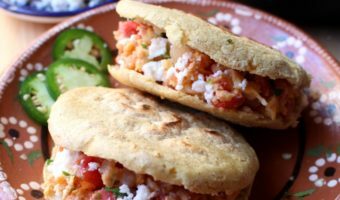 This is truly Mexican comfort food. Enjoy! Rinse the beef honeycomb tripe well. Add honeycomb, 1 whole onion, 5 garlic cloves, and 2 bay leaves to a large stockpot. Add water. About 6 inches above the honeycomb. Cover and bring to a boil for 2 ½ hours. Add the hominy to the pot. Cook for an additional ½ hour. Note: Add water to the pot if needed. In the meantime, make the red chile sauce. In a smaller stockpot add the chile guajillo and the chile de árbol. Add water. Enough to cover all the chiles. Turn heat off and let sit for 5 minutes until soft. Add all the chiles, ¼ onion, 2 garlic cloves, pinch of cumin, and salt to the blender. Using the water from which the chiles cooked in, add it to the blender. Add the red sauce and 2 tablespoons salt to the honeycomb tripe pot. Add 1 cup of water to the blender to get any remaining red sauce and pour into the pot. Cover and let simmer for an additional 30 minutes. This is so cool! I’ve never even heard of honeycomb tripe. Thanks for the peek into Sundays in Mexico. That was so great to read. I love the flavors in Mexican food, common with Indian cuisine. This sounds interesting. I was shocked at how many people from India follow me on Facebook. Then one of them contacted me and told me that our foods were similar. So cool! I love the traditions that are connected with food! Some are cultural, like the ones you described and others are just familial. I wish sometimes that we could go back to the “walk around the plaza” era. sigh. At least we still have menudo! Exactly! Me too.. I love my memories of the plaza. 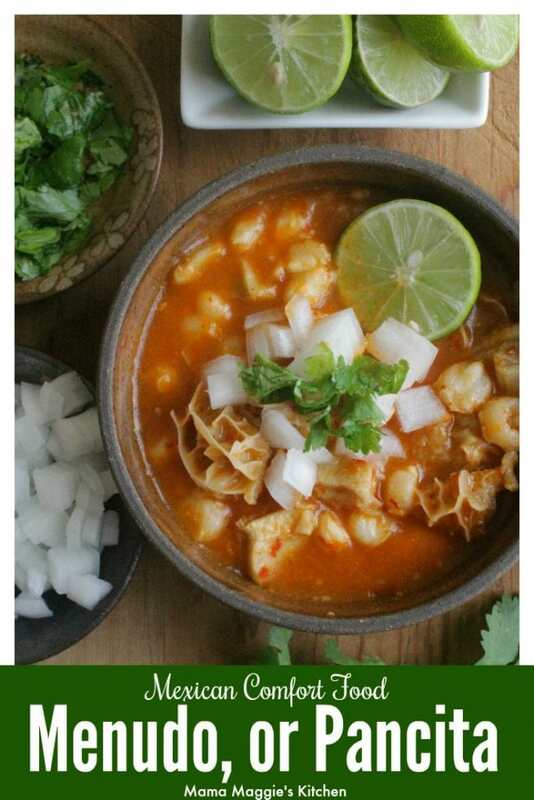 Wow I’d never heard of menudo! This recipe sounds really good! It’s a Mexican classic. Hope you try! It’s a favorite. 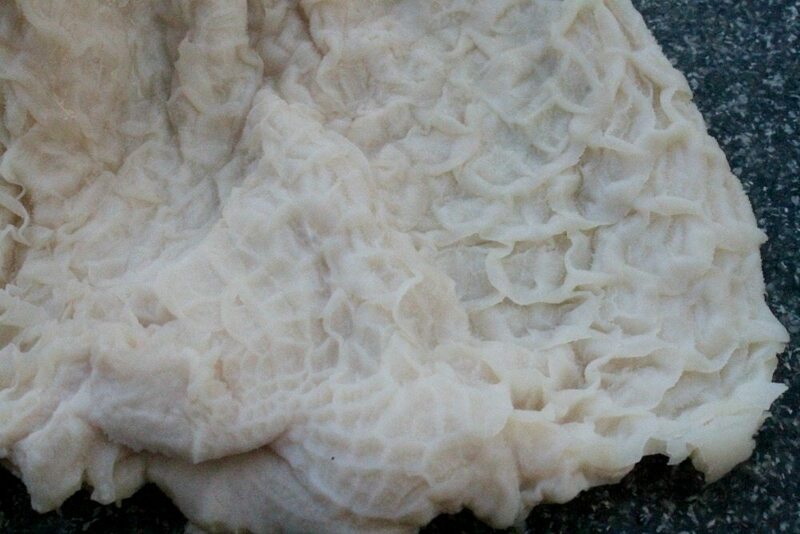 I’ve never cooked tripe before but it looks really good! Oh yeah. 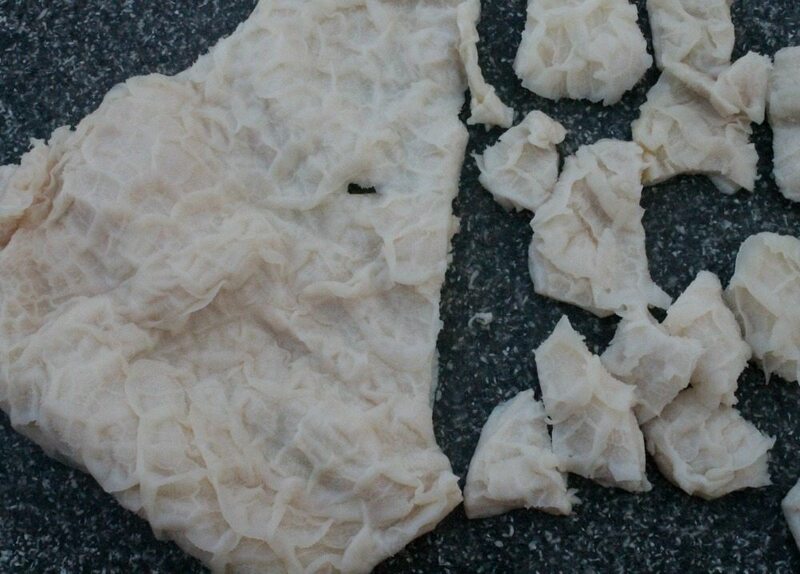 Tripe is delicious! Amazing …! i love mexican food and i love its flavor and looks sooooo yummy & delicious. i can’t wait make this. Thanks for sharing…….! Question: Why remove the whole onion, garlic, and bay leaves? I understand removing the bay leaves, but why the garlic and onion? What is gained by removing the onion and garlic? 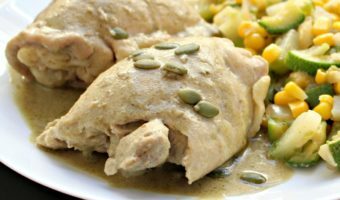 Thank you so much for your wonderful recepies I love authentic Mexican food like this, I will be trying your great recepies thanks again!!! 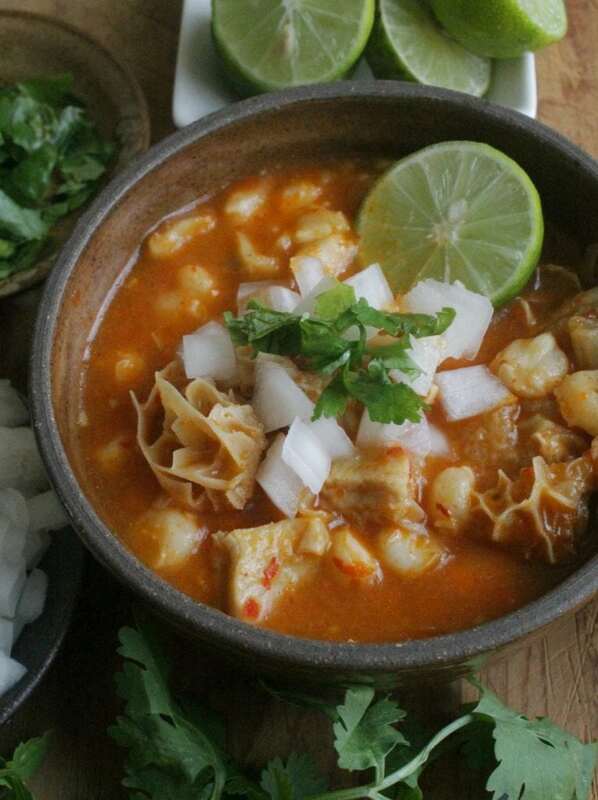 also, what do you think about a combo recepie with menudo and pozole together as a mixed combo!!???? I’ve never thought of mixing menudo and pozole. I might just try that. lol. Thank you for the idea!